This class is designed as a lead up to our Preschool program. Our staff simulates gross motor skill development through the use of obstacle courses, preschool equipment and coordination activities - all while having fun! Our Preschool students begin to increase their exploration of movement. General motor skills are developed and various jumping activities are introduced. 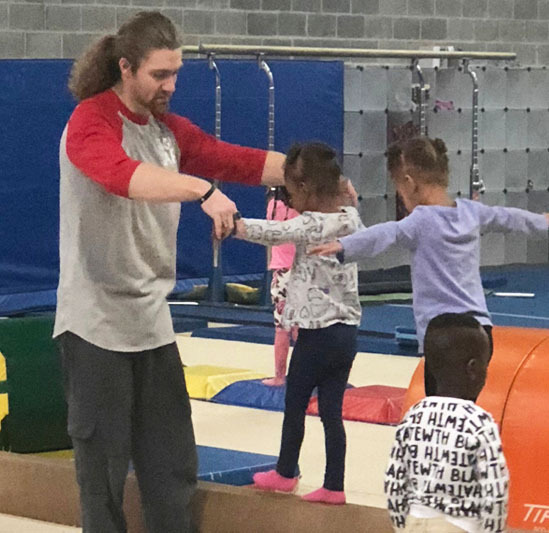 Students begin tumbling and practicing rolls and are introduced to basic skills on balance beams. Hanging and swinging activities on bars help with strength development. Every class ends with trampoline time. This class contains a variety of levels for those new to the sport or those who have been progressing from preschool classes. 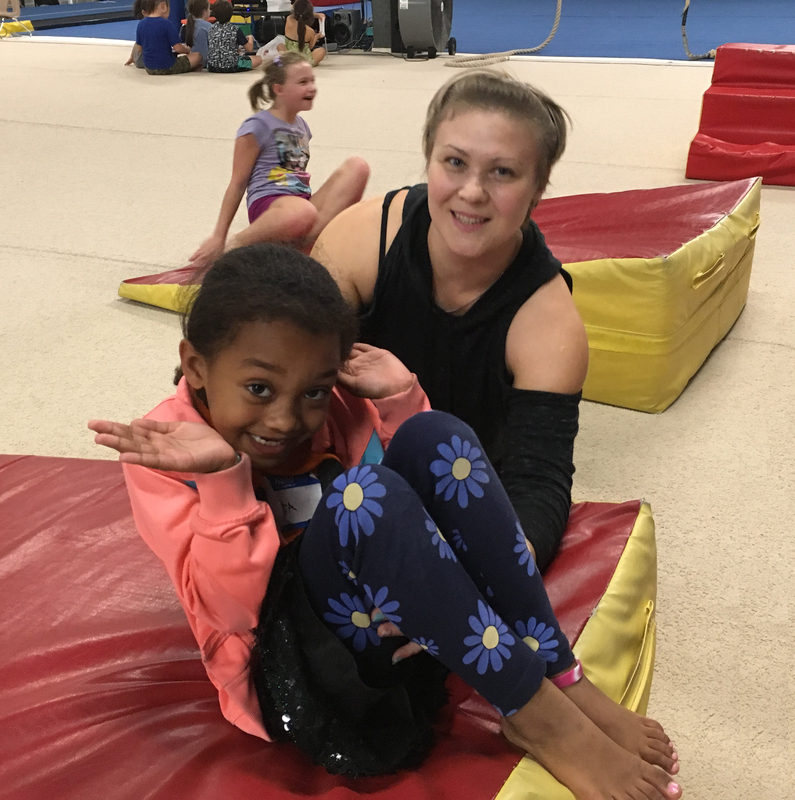 The individual skills at this level consist of handstands, cartwheels, forward and backward rolls, pull ups on the bars, turns on the beam, and trampoline time. This class is a beginner level for school age kids. These classes open with a fun warm-up and stretch as a group. 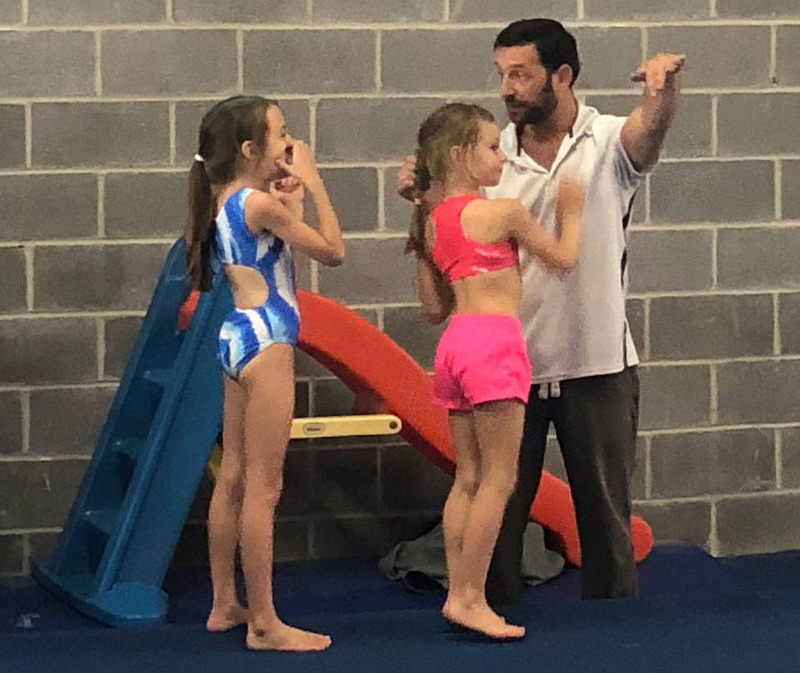 This will be followed by individual skills such as perfecting forward and backward rolls, handstands, cartwheels, round offs, back handsprings, front handsprings, front and back walkovers, pull ups on the bars, beam skills and trampoline time. This is a great class for cheerleaders and tumblers. 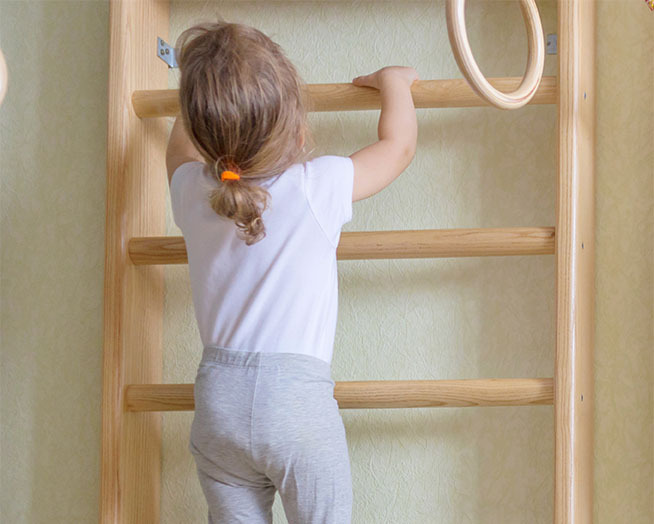 Students will practice strength, flexibility, quickness, and balance. They will learn round offs, back handsprings, jumps, and more in a safe basic progression. Advanced Tumbling Classes are available for students who can do a back handspring or better. 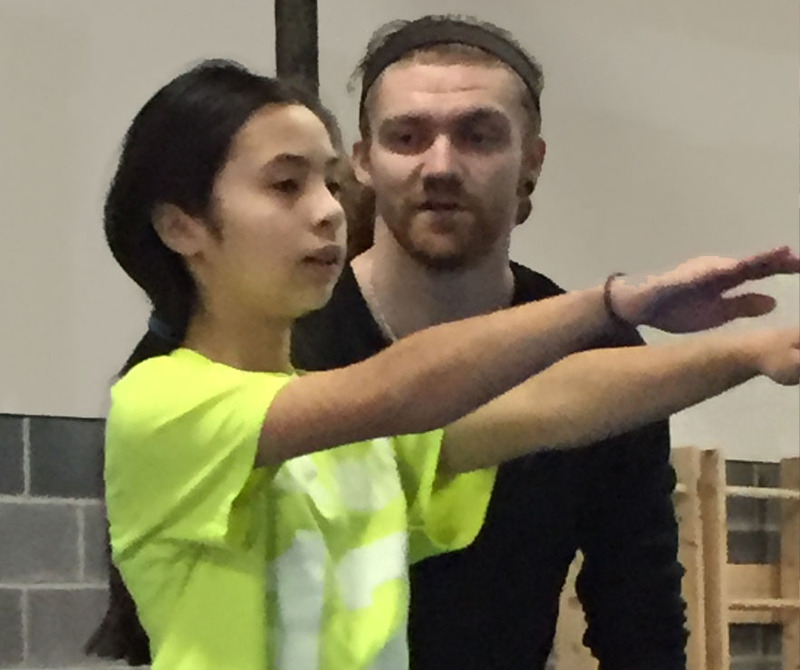 Students will work to improve their technique and begin progressing toward tumbling series and different types of flips in a safe and steady steps. Give yourself a fun, well-rounded workout! Our adult class is led by our experienced instructors who are specially trained in adult gymnastics coaching, safety and spotting techniques. © Emilia's Gymnastics. All rights reserved.